1. title – Becoming Banner – Both Sides. A while back sueworld2003 posted about Buffy episodes in HD. Here is her post and here is the link to the HD episodes. The HD episodes make wonderful screen caps. In preparation for the Becoming day in May, I made so many wonderful screen caps that I had to make another becoming banner. Behind the cut are 2 Becoming banners. Enjoy! For my first post of the day I have under the cut, 4 banners/wallpapers. As a Buffy comic reader, I really enjoyed season 11 and all of the wonderful Spuffy moments. 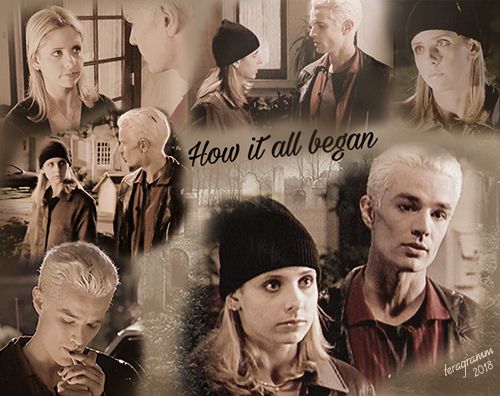 Since today is a free for all day, I decided to do some screen captures of some of the season 11 Spuffy moments. Under the cut is a very large selection of panels. 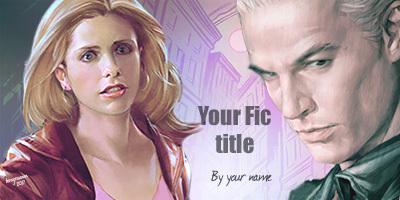 Behind the cut are 2 icons and 2 banners (one was used to promote this special spuffy event. Enjoy! Below the cut find four wallpapers. Enjoy! Today is my posting day and for my first post, under the cut, I have four banners. Two of the banners were originally entered in this round of the banner contest but have been reworked to be fiction banners the other 2 are sized to be lj banners. Enjoy! Somehow I posted this on my lj by mistake. Sorry! For my 2nd post, I have below the cut, 3 banners. Enjoy!